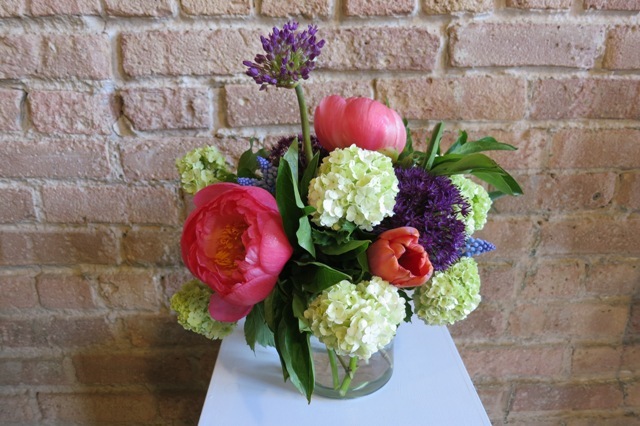 Meet Lynn Fosbender, owner of Pollen Inc., a Chicago floral design studio with a green ethos. 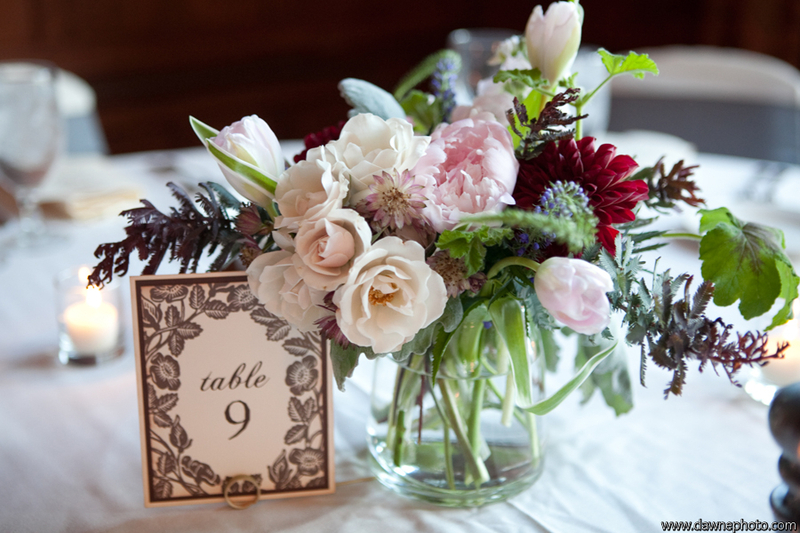 Lynn Fosbender is a Chicago-based owner of Pollen Inc., a sustainable floral design studio for weddings and events. 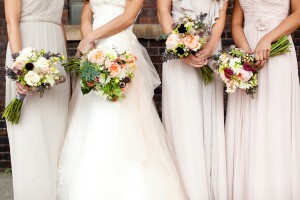 This talented young woman is a leader in the sustainable floral and green wedding industry. And to me, she’s a true Slow Flowers hero! 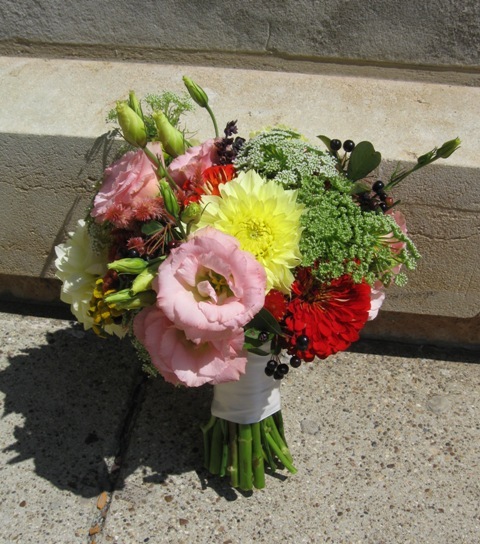 Lynn knows her local sources, having cultivated relationships with flower farmers in Illinois, Wisconsin and MIchigan – all of whom serve the greater Chicago marketplace. 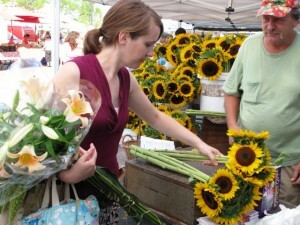 I photographed Lynn while shopping for a wedding client at her local farmers’ market. We met in 2010 when I was on a college visit with my oldest son. While he was getting oriented, I invited myself to tag along with Lynn as she shopped for flowers at a local farmer’s market. Afterwards, we returned to the Pollen studio, which at the time was located in an old brick warehouse next to Chicago’s famous “El” trains. Lynn’s design philosophy is influenced by both horticulture and ecology. With a B.A. in Horticulture and graduate studies in Restoration Ecology, you might wonder why Lynn ended up working with flowers. 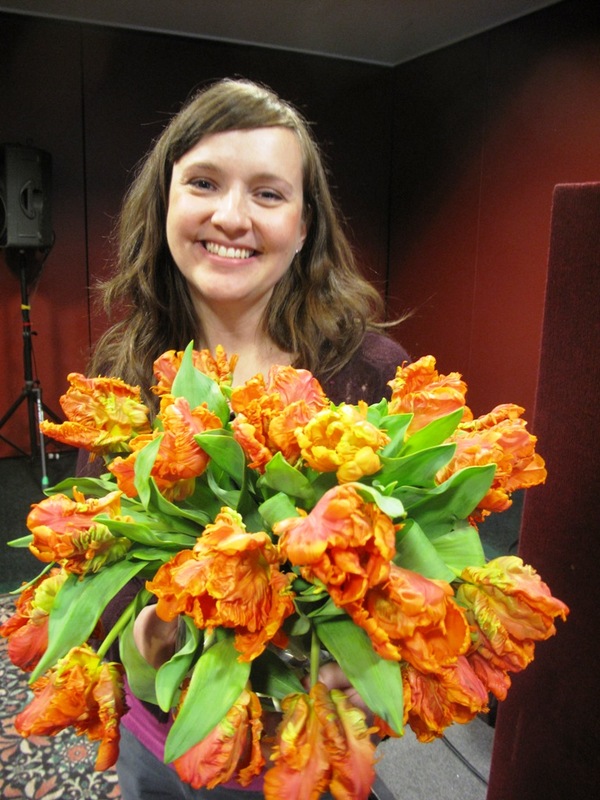 Her career choice can be credited to a love for great design combined with extensive experience creating bouquets and arrangements for conventional florists (including a 4-year gig managing one of Chicago’s top retail flower shops). Yet even while working in the world of cutting edge-floral design, Lynn knew she wanted to use sustainable practices, something she hadn’t much observed in the industry. Lynn’s vision was adopted by a group of MBA students at Loyola University who developed a business plan inspired by her ideas. Thus, Pollen Inc., was born in 2009. After our early-morning farmer’s market stop, I followed Lynn back to the studio. With her arms filled with pale peach lilies, a bunch of verdant millet seedheads and dozens of brilliant sunflowers grown by a local Illinois flower farmer, Lynn led me upstairs to her light-filled loft-like space. 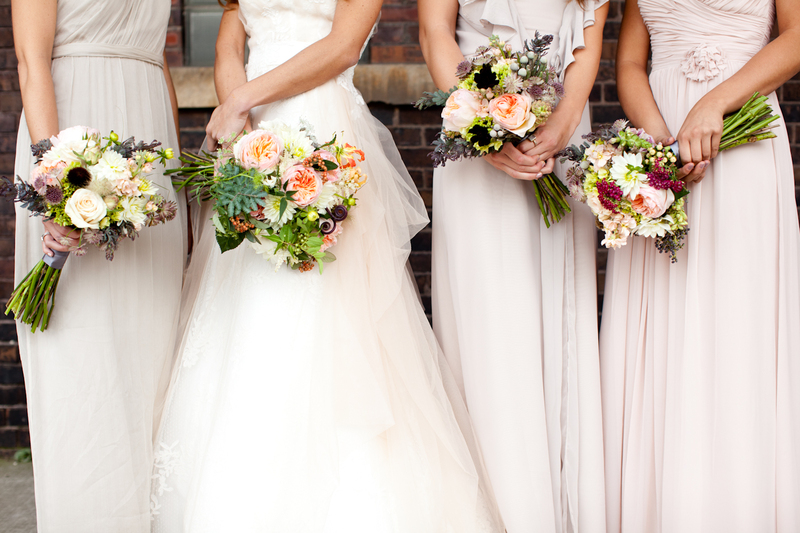 She processed the flowers while we discussed her green philosophy, the challenges of keeping brides (and grooms) happy with their flower choices, and the future for sustainable flower design. 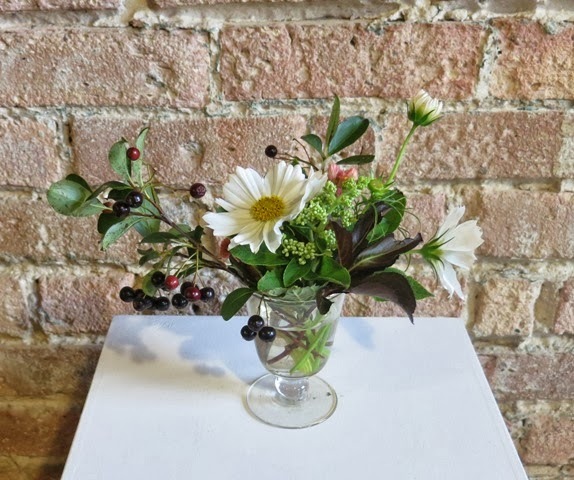 It’s no surprise to learn that local farmers who sell to Chicago area floral designers are limited by a growing season that ranges from May through October. 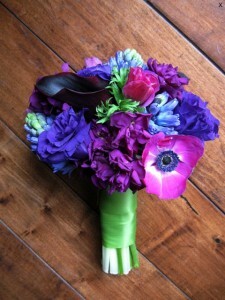 A luscious color palette from Pollen. In the colder months Lynn thinks beyond the obvious path and seeks to find sustainable options – even out of season. 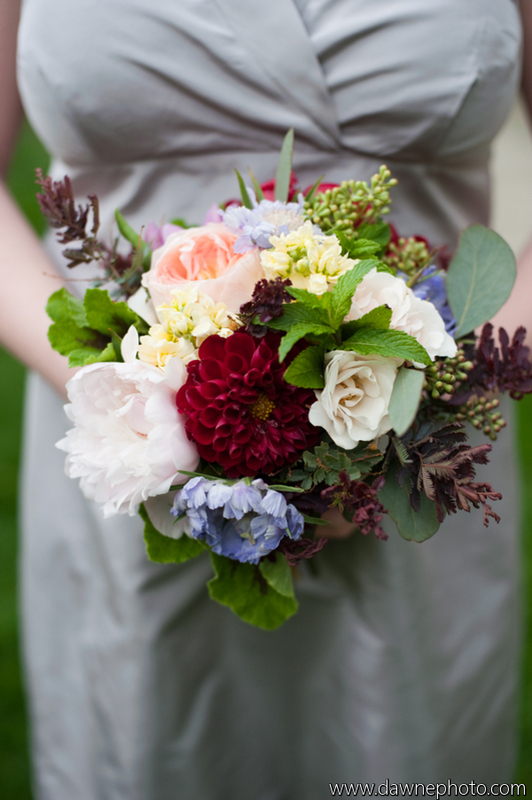 She orders Veriflora-certified California-grown flowers and also occasionally relies on a Chicago-area wholesale supplier for non-domestic Veriflora flowers as a second option. “Otherwise, I would be using twigs and moss – that’s what’s local in the winter,” Lynn says with a grin. But then, she pauses and mentions a favorite local source for orchids – a popular wedding flower that’s greenhouse grown. “I try to offer people more eco-friendly alternatives; things they might not otherwise notice,” she explains. Lynn avoids using oasis, glues, dyes or sprays, almost always using water-filled vases for arrangements. 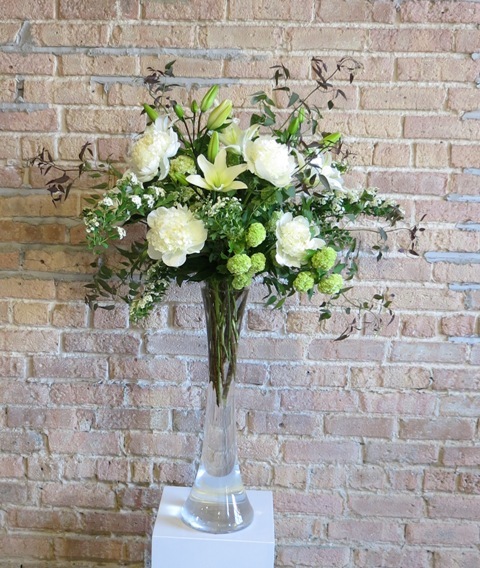 By offering an affordable vase-rental service for weddings and events, Lynn makes it easy for clients to make the eco-friendly choice. She also promotes and markets her studio in the green wedding world, collaborating with other vendors such as caterers, photographers and invitation printers. It is so refreshing to meet and connect with designers like Lynn and so many of my previous Slow Flowers guests. There is a renaissance going on in the floral industry and these are the people to watch – the progressively minded designers who realize that consumer attitudes and desires have shifted – and that delivering American-grown flowers and using sustainable practices is a priority to those consumers. That’s smart business not just smart values. Thank you for joining me in this episode of the SLOW FLOWERS Podcast with Debra Prinzing. Because of your support as a listener, we have had more than 4,000 downloads since July – and I thank you for taking the time to join to my conversations with flower farmers, florists and other notable floral experts. 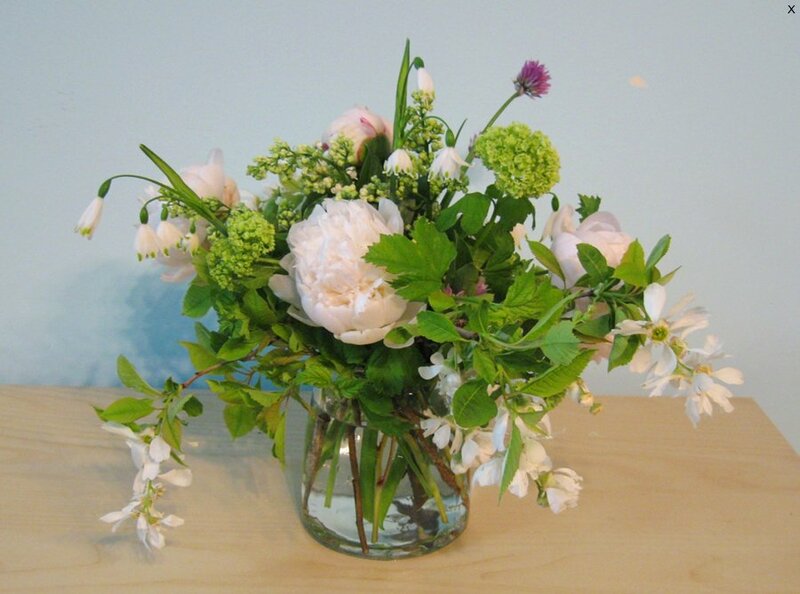 This entry was posted on Wednesday, December 18th, 2013 at 5:14 am	and is filed under American Grown, Blog Posts, Creativity, floral design, General, Plants, SLOW FLOWERS Podcast, Writing. You can follow any responses to this entry through the RSS 2.0 feed. You can leave a response, or trackback from your own site.